From the Sugarlands Visitor Center near Gatlinburg, drive 13 miles south along Newfound Gap Road to reach the Newfound Gap parking lot. This was taken around 7:30 a.m. after about an hour and a half of hiking in the dark with just a head lamp. 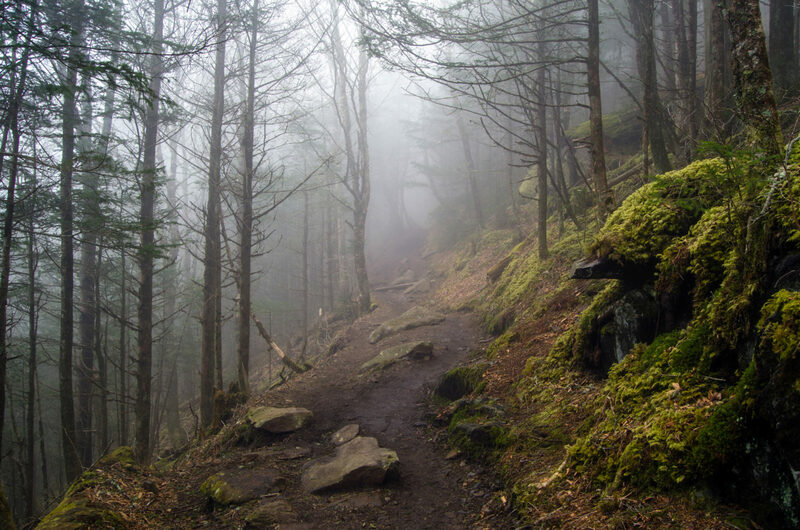 Foggy morning along the Appalachian Trail heading from Newfound Gap to Charlie's Bunion.